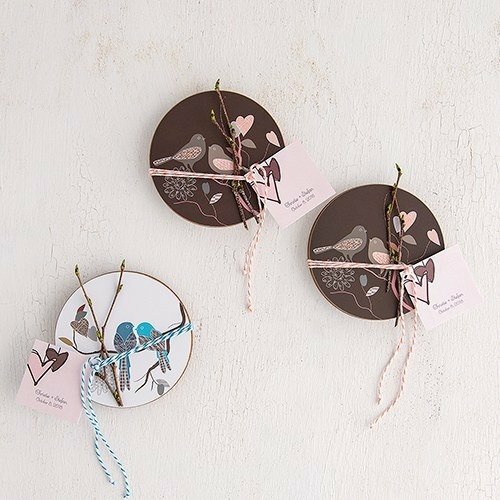 One of our most popular love birds wedding favors! 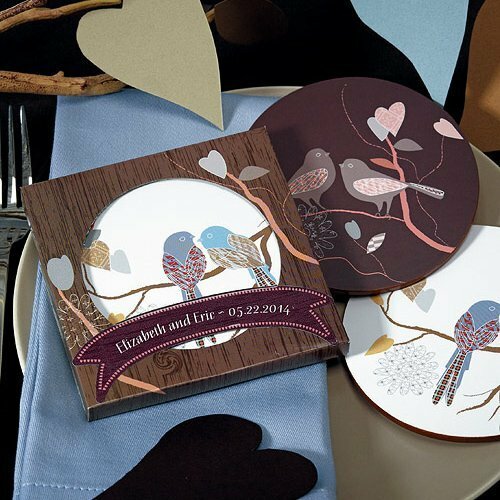 Coasters make a delightful wedding favors gift for your guests. 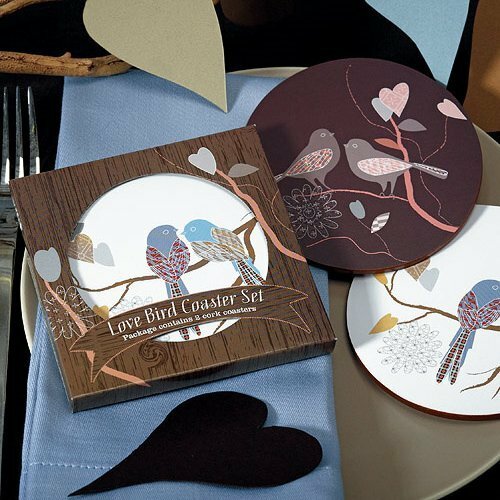 This charming set of love birds coasters features stunning colors and patterns that will brighten up your event. 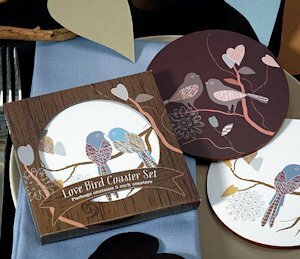 The set comes with 2 complementary Love Bird design coasters (one white background, one dark brown backgroun) in an attractive faux woodgrain gift box. Coasters measure 4 1/5" in diameter and 1/5" thick. To add a custom touch, add our personalized wood banner label (sold separately as item #1123-22). So, where I can calculate the total price with customized coasters? You need to add it to your shopping cart, it will give you the estimate subtotal and the shipping cost as well before you check out. Are you guys making customized coasters? Yes, we do. 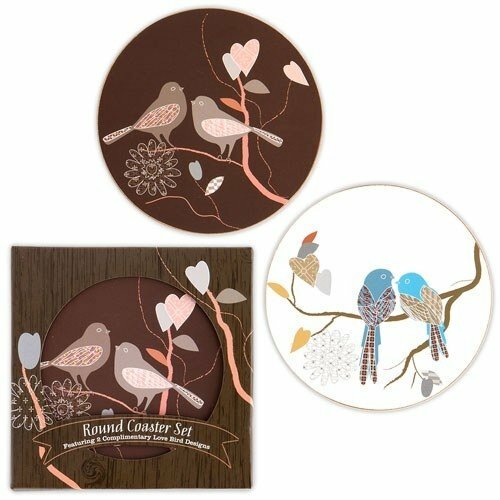 You can check here the lists of our personalized coasters.